Labor day in the United States can represents many things. Some see it as the last fashionable day for women to wear white, others may see it as the return to school and end of summer, and some may see it as the beginning of NFL and college football season (Go Chargers!). For me, I see it as a period of rest for all the hard working people out there. The Average Joe who works hard for their money, but may not always get the respect they deserve. In short, this holiday reminds me of Al Bundy. 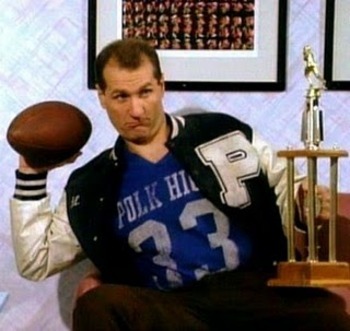 Al Bundy, played by Ed O’Neill, is a fictional character from a TV show called Married with Children. For those who never heard of Married with Children (shame on you), it is a comedy show featuring a dysfunctional family living in Chicago. It was broadcasted on Fox from 1987 until 1997, and at the time the first prime time television series to air on Fox. 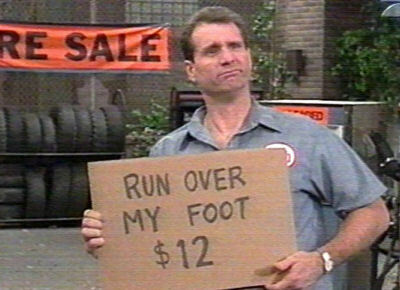 Al Bundy, a once-glorious high school football player (who scored 4 touchdowns in a single game), eventually became a woman shoe salesman while struggling to support his family. A simple man, who finds himself in a series of hilarious hi-jinks and likewise a run of very bad luck. Despite it all, he’s able to endure and enjoy the simple pleasures in his life. Growing up, you couldn’t help but enjoy the adventures of Al Bundy (and his family). Every Sunday night, I would find myself glued to the TV at 9pm without fail. The show had many great moments celebrating Labor day weekends like throwing a BBQ (and using the ash remains of Steve and Marcy relative), to being stuck in dead-lock traffic. Honestly, it has been a while since I seen an episode of Married with Children (though I do have many of the seasons on DVD, that I may revisit soon). So why am I thinking about it now? Very recently, Ed O’Neill received a Hollywood Walk of Fame star! Though he was hesitant at first to accept it, with some persuasion from his daughter he decided to accept with pride. In a certain irony, his star is outside a shoe store on Hollywood Boulevard. So to all the working stiffs out there, a happy Labor Day to you all! You can find more information on Ed O’Neill on IMDB as well as the popular TV show Modern Family on ABC. For more history on Labor Day visit Wikipedia. This entry was posted in Movies/TV, Off-Topic and tagged Al Bundy, Ed O'Neill, Fox, Fox viewing positions, labor day, Married with Children, television on September 5, 2011 by David W.